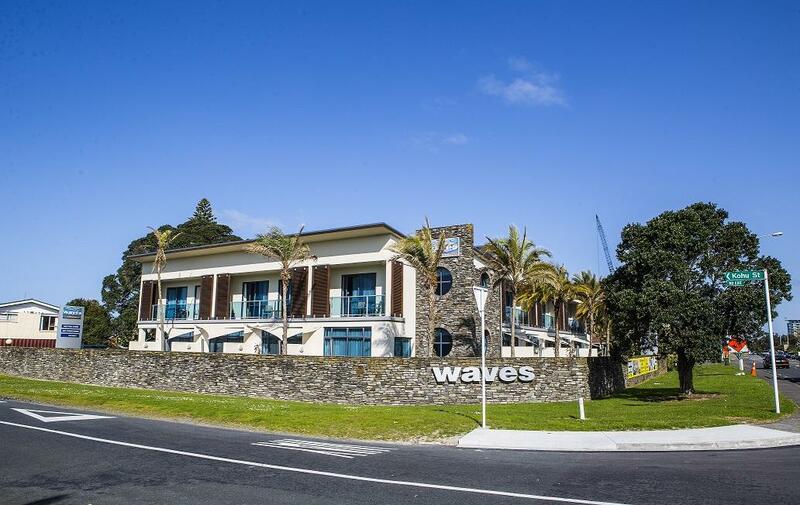 Waves sets new high standards for premium accommodation in Orewa. Superb modern design, clean and very comfortable... you can't go past Waves. Ideal for holiday or business stay. Choice of studio rooms, 1 and 2-bedroom units or premier suites. Only 50m easy stroll to the beach. Superb facilities including in-room spa baths, Sky Digital TV and high-speed internet access. We'll even provide towels, a bucket and spade for the beach.. Waves sets new high standards for premium accommodation in Orewa. Superb modern design, clean and very comfortable... you can't go past Waves. . . . More . . .